Project Highlights — Canvasback Missions, Inc.
On top of our work through the Specialty Teams we coordinate throughout the year and our full-time Wellness Center on Majuro, we work on a lot of other projects. Keep checking back here for updates on these highlights. We are excited to have finished an important project on Majuro to collect quantitative and qualitative data on knowledge, attitudes, and perceptions of health this summer. We tasked Alex Hirata, Emily Gifford, MPH, and Kelly Lorennij (STEP-UP scholarship recipient) with collecting more than the standard health and demographic measures: we had them explore personal emotions, ideas for change, and even criticisms. The data we collected were significant and eye opening, and they provide a metric by which we can measure our successs and short-fallings. This research also engaged us in a more ethical mode of development: community participation. We now have a base by which to set target objectives and shape the direction of our work against non-communicable diseases in the Marshalls. Dallen Jennet, 14, is just like any kid. He likes to climb trees, play basketball, and make music with his ukulele. But 5 years ago, after scaling a tree with some friends, he tripped and fell face-first onto a live wire. With flesh burned beyond repair, doctors had to remove his nose and several toes, leaving him with a painful injury. Through partnership with Dr. Tal Dagan (one of our volunteer ENT surgeons), New York Eye and Ear Infirmary of Mt. Sinai, Mentor Worldwide LLC, Oxford Performance Materials, and the Republic of the Marshall Islands Ministry of Health, Canvasback Missions helped Dallen receive a new nose. Changing the health culture of the Marshall Islands requires brilliant, Marshallese business minds. We need entrepreneurs with exciting ideas to make health an affordable, appealing option for Pacific communities. 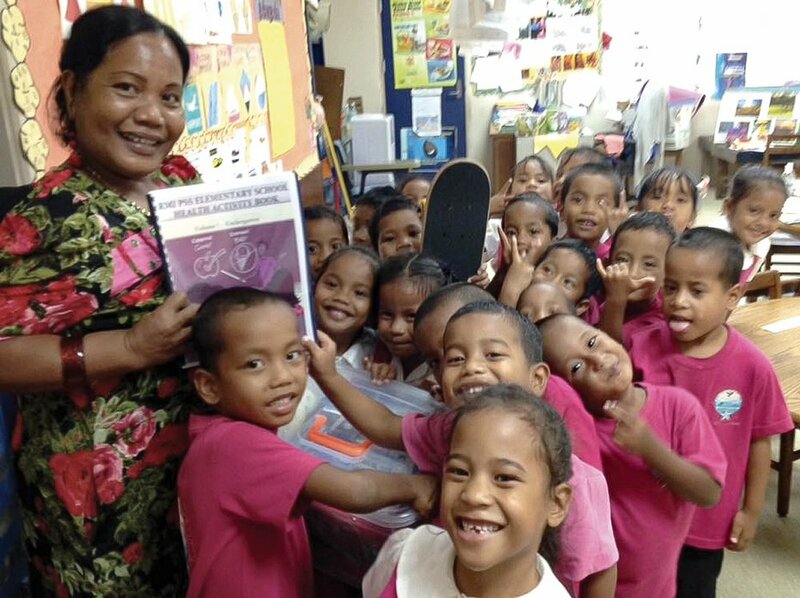 Who better to do this than kids who have grown up on the island of Majuro? Canvasback is working with the Majuro Delap SDA School to provide computers for a business lab that will train the leader of tomorrow in accounting and management principles. With over 300 students, these classes will open new doors for the students as they become incredible resources for their community.